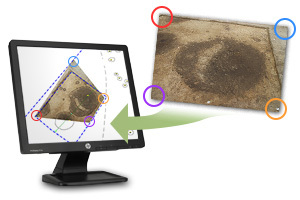 Developed in house as a software solution for archaeologists and excavation technicians. Available for AutoCAD and BricsCAD! 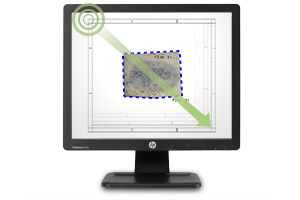 Automated drawing of coded measurement data directly into your CAD environment! In the Plandraw function, the data is automatically stored on predefined layers. Use a variety of setting options to adapt to your individual needs. Extensive drawing aids for the implementation of planning and profile drawings! ArchaeoCAD supports you in automatically sorting and implementing your finds. Create attractive plan layouts quickly and easily! First select the suitable layout frame and use the symbol libraries, the predefined scales and north arrow symbols. Picture correction made easy! Rectify your digital photos with just a few clicks. Rectify is the tool for simple projective 2D image rectification for creating digital image plans in CAD. Generate different drawing frames. Create coordinate frames with real co-ordinate values (in the respective coordinate system) for a desired area. 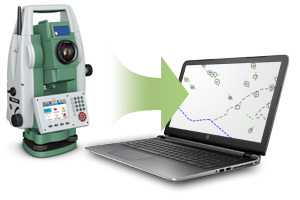 Coordinates, measuring grid and further details can be toggled. Analogously to the coordinate frame, you create profile frames with length and height specifications. 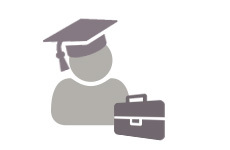 One-day training courses for up to 4 participants are individually tailored to your level of knowledge and your needs. 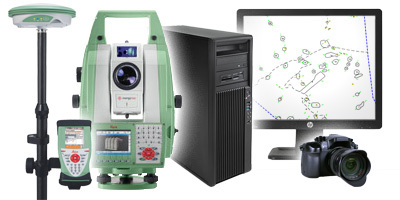 We attach importance to a balanced mixture of theory and practice – from CAD, ArchaeoCAD, surveying, tachymetry, etc..
From tachymeters to notebooks – buy your hardware from us! We know the market and know which devices are best suited for your purposes. You will receive expert advice specifically for archaeologists and surveyors with a focus on the best price/performance ratio. FREE all-round carefree package for the combined purchase of software and PC/laptop! We deliver the hardware completely set up and the software already installed. For you this means: switch it on and start immediately!